ஆங்கிலத்திற்கு மன்னிக்க : Gas Pumping Tips from someone in the Petroleum pipeline business!! I've been in petroleum pipeline business for about 31 years, currently working for the Kinder-Morgan Pipeline here in San Jose, CA. We deliver about 4 million gallons in a 24-hour period from the pipe line; one day it's diesel, the next day it's jet fuel and gasoline. We have 34 storage tanks here with a total capacity of 16,800,000 gallons. Hereare some tricks to help you get your money's worth. Fill up your car or truck in the morning when the temperature is still cool. Remember that all service stations have their storagetanks buried below ground; and the colder the ground, the denser the gasoline. When it gets warmer gasolineexpands, so if you're filling up in the afternoon or in the evening, what should be a litre is not exactly a litre. In the petroleumbusiness, the specific gravity and temperature of the fuel (gasoline, diesel, jet fuel, ethanol and other petroleum products) are significant. Every truckload that we load is temperature- compensated so that the indicated gallonage is actually the amount pumped. A one-degree rise in temperature is a big deal for businesses, but service stations don't have temperature compensation at their pumps. Fill up when your gas tank is half-full (or half-empty), because the more gas you have in your tank the less air there is andgasoline evaporates rapidly, especially when it's warm. (Gasoline storage tanks have an internal floating 'roof' membrane to act as a barrier between the gas and the atmosphere, thereby minimizing evaporation). உங்களுக்கும் இதுபோன்று வந்திருக்கலாம், எனக்கு மின்னஞ்சலில் வந்ததை அப்படியே இங்கே தருகிறேன். 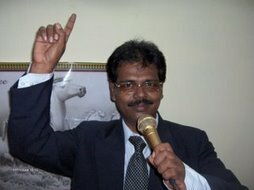 இதுபற்றி நான் ஏற்கனவே எழுதியிருப்பதை நினைவுகொள்ளவும். I do recognised the surprise this letter will bring to you, most especially as it comes from a stranger.I am Mrs Aminata ismail. We from Guinea Bissau. I am married to Dr Iddris Daboko. who worked with petroci company in Ivory Coast for many years before he died in the year 2004. We were married for eleven years without a child. He died after a brief illness that lasted for only two weeks. Before his death we were both faithful Muslim.Since his death I decided not to remarry or get a child outside my matrimonial home which the holy Quaran is against. When my late husband was alive he deposited the sum of ($2.8Million U.S. Dollars) with bank here in Abidjan Presently, the fund is still with the bank. Recently, my Doctor told me that I have serious sickness which is cancer problem. The one that disturbs me most is my stroke sickness.Having known my condition I decided to donate this fund to an company or individual that will utilize this money the way I am going to instruct herein. I want an company or capable person that will use this fund for investment and help orphanages, widows, propagating the word of mighty Allah and to endeavour that the house of mighty Allah is maintained. 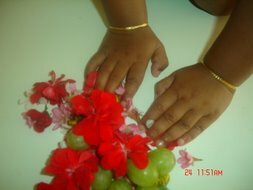 The holly Quaran made us to understand that Blessed is the hand that gives. I took this decision because I don't have any child that will inherit this money and I don't want my husband's efforts to be used useless. I don't want a situation where this money will be used in useless way. This is why I am taking this decision. I am not afraid of death hence I know where I am going. I know that I am going to be in the bosom of the mighty Allah.As stated in the holly Quaran (Surah xxxvi Yasin) Thou wariest only him who followeth the reminder and fearieth the beneficent in secret to him bear tiding of forgives and a rich reward. I don't need any telephone communication in this regard because of my health. With the help of almighty Allah all things are possible. As soon as I receive your reply I shall give you the contact of the bank here in Abidjan.I want you to always pray for me because the almighty Allah is my shepherd. My happiness is that I lived a life of a worthy Muslim. Whoever that Wants to serve the mighty Allah must serve him in spirit and Truth. Please always be prayerful all through your life. Contact me on the above e_mail address for more information, any delay in your reply will give me room in sourcing another person or company for this same purpose. Please assure me that you will act accordingly as I Stated herein. "தமிழ் நிகழ்ச்சியில் தமிழ் பேசிப் பிரபலமாகியிருப்பது நானாகத்தான் இருக்கமுடியும்"
தமிழ்நாட்டுல தமிழ் பேசினா ஆச்சர்யப்படுறாங்க. நான் எங்கே போனாலும் என்னைப் பார்க்கிறவங்கல்லாம், "எப்படித் தொடர்ந்து ஒரு மணிநேரம் தமிழ்ல பேச முடியுது"ன்னு ஆச்சர்யமா கேக்குறாங்க. எதிர்வீட்டுக் குழந்தைக்கு தமிழ்ப்பாடத்துல டவுட்டுனா அக்காகிட்ட கேட்டுக்கோன்னு எங்கிட்ட அனுப்பிடறாங்க. தமிழ் நிகழ்ச்சியில் தமிழ் பேசிப் பிரபலமாகியிருப்பது நானாகத்தான் இருக்கமுடியும்னு நினைக்கிறேன்.